Brandon came on staff as Minister to Students at First O’Fallon in March 2015. 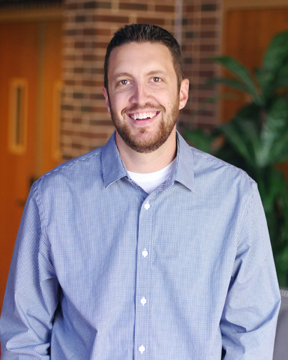 He earned a degree in Christian ministry from Southwest Baptist University in Bolivar, Missouri, in 2009 and is currently pursuing a Master’s degree from Midwestern Baptist Theological Seminary. Brandon is married to Caitlin, and they have one son, Mason, who was born in 2014. Brandon enjoys spending time with his family, watching “the big game,” and making frequent visits to Raising Canes. He has been in student ministry for over 12 years, previously serving with churches in St. Charles, Buffalo, and Marshfield, Missouri.